....and then I'm on holiday for two whole weeks. Cant wait. I havent had any time off for ages and its gonna be good to have Neil back and to see my usual partner in crime, Nick. As mentioned in my last post, the singapore trip is booked for the week after next and the excitment is growing, so expect some updates about that in the next couple of weeks! There is not an awful lot to report on from last week to be honest. My second week running of solid nights and sleepy days, plus we caught the tail end of the monsoon season which meant lots of rain...rubbish! The weekend just gone though was really good. The weather picked up and we have been out every night and eaten lots of nice food and drank lots of beer. Friday was the residency hotel rooftop for dinner, saturday was the beach and footy at night and on sunday we hit the beach again then went out for dinner with my work team over here. Had a great time, we went to the south park hotel for dinner and it was probably the nicest food I've had out here so far. We had about 5 waiters dressed in full suits and bow ties serving us all night and the band were happy to take on requests, even pulling out some dire straights out of the bag just before we left. 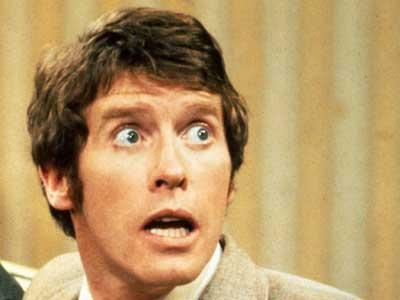 We were chatting about TV and movies and stuff, and Vikas revealed that his all time favourite comedy was "some mothers do 'av 'em" staring michael crawford. Now, I was very, very impressed by this as it is one of my favourites as well. If you would have said to me at the start of this trip, "I'll give you 10 million pounds if you find me an indian guy, in india, who's heard of some mothers do 'av 'em" I would have said "sorry, thats impossible." But no, not only has he heard of the vintage bbc comedy but it is also his favourite. Brilliant. I wasnt quite drunk enough to burst into my frank spencer impressions but I did a little sort of nervous "spencer style" bite of my fist which was greeted with a huge laugh from vikas - My next challenge is to get him doing some impressions himself which I feel would be very ammusing to watch. So, not an awful lot to report on then but there is bound to be lots to write about during the next couple of weeks after I've got this last drag down of nights and start spending time with other people again!